WHISTLER BC, October 3, 2013 - It’s almost Thanksgiving, and the snow is flying in the alpine earlier than normal, causing skiers and boarders to rub their mitts together at the thought of Whistler Blackcomb’s annual Turkey Sale. Yes, there will be turkeys on sale but more importantly, snow fanatics can cash in on massive deals. Demo skis will also be on clearance, as well as savings of up to 70 per cent off equipment and accessories. For the second year in a row frozen turkeys will be on sale for $15 each on Saturday, October 12 starting at 9 a.m., until quantities last. All proceeds from the Thanksgiving birds sold will go towards the Whistler Food Bank. In conjunction with the Turkey Sale, the International Freeski Film Festival (iF3) will also make a stop at Whistler Blackcomb on Saturday, October 12, 2013. iF3 Whistler Blackcomb will feature premieres of the year’s best ski movies, including Into The Mind, an award winning film produced by Whistler locals Sherpas Cinema. Level 1 Productions’ latest ski film Partly Cloudy features a huge step over to step up jump session on Blackcomb Mountain, closing out the festival in style. There will also be a retro ski-themed kick-off party and a rocker-themed wrap up. 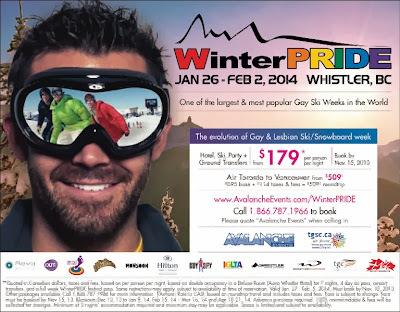 The premieres will be held at Millennium Place, in the heart of Whistler Village. 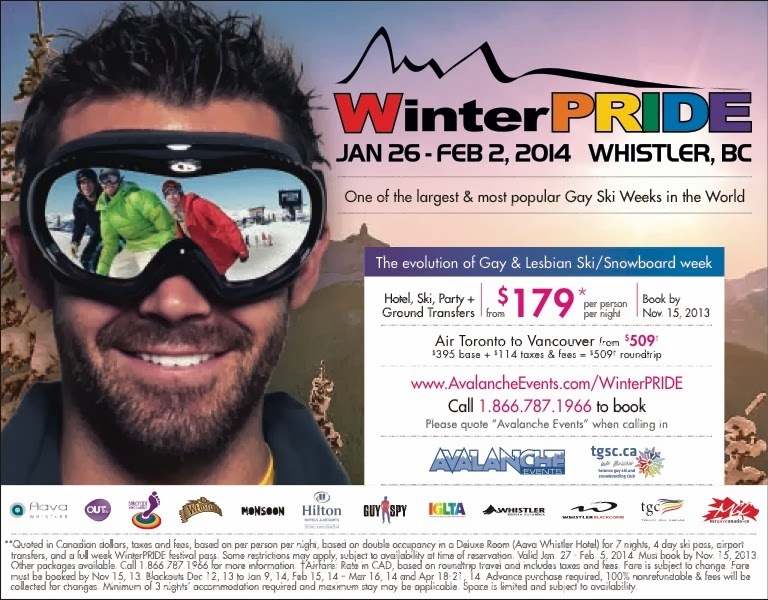 Visit www.whistler.if3.ca for more information. Friday, October 11 - 12 p.m. to 9 p.m.
Open to locals, season pass holders and EDGE Card holders only. Proof of identification will be required at the door. Saturday, October 12 - 9 a.m. to 6 p.m.
Sunday, October 13 - 9 a.m. to 6 p.m.
Monday, October 14 - 10 a.m. to 5 p.m.
CAN-SKI Blackcomb Open House – On Saturday, October 12, CAN-SKI Blackcomb will be marking down all of last year's high-end fashion and skiwear apparel to 50 per cent off. In addition, the store will be fully stocked with this year's latest trends from Bogner, Canada Goose, Toni Sailer and Mountain Force. The event is for the whole family with complimentary refreshments and cupcakes served from 2 to 5 p.m., as well as face painting and Jazz The Balloon Man. Kid’s Buy Back Program - Returning to CAN-SKI this year, shoppers who purchase new junior ski gear this season can return it before May 31, 2014 for a 50 per cent voucher on next year’s gear. Those who participated in the program last year are encouraged to bring in their vouchers and shop for 2014 kids gear. SWAP - The "Sale With Awesome Prices" is back by popular demand, selling quality pre-owned equipment for both kids and adults. 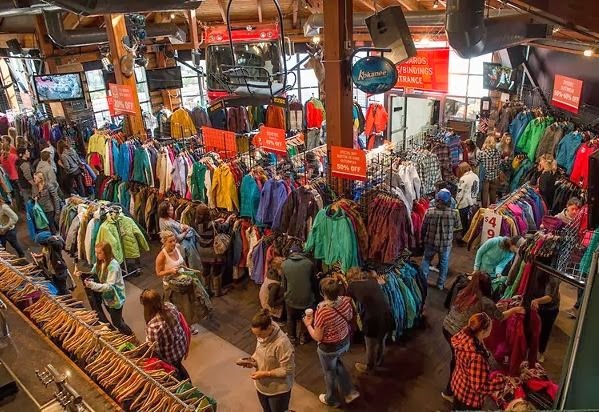 Organized by the Whistler Mountain Ski Club, the sale will also feature clothing and accessories from Whistler Blackcomb's chain of retail outlets. The SWAP tent will be located at the base of Blackcomb Mountain, open Friday, Saturday and Sunday. Those interested in selling their used equipment at the sale can connect with Whistler Mountain Ski Club. The latest version of the free Whistler Blackcomb mobile app, powered by TELUS will be available for iPhone on October 12. An Android version will be released soon after. The improved app features a completely new user interface plus reports on live mountain conditions, webcam feeds, snow and lift alerts to ensure a memorable mountain experience. Through the 2013.14 winter season, Whistler Blackcomb will be adding more content to improve the app including an enhanced Run Tracker system and a new Friend Finder feature. Opening Day - Whistler Blackcomb is scheduled to officially open on Thursday, November 28, 2013. Skiers and riders itching for snow can check out Whistler Blackcomb’s Wonder Reels season two video The Wait For Winter, a sneak peek of all the powder to come this season.